you know how much I LOVE PRAWNS! 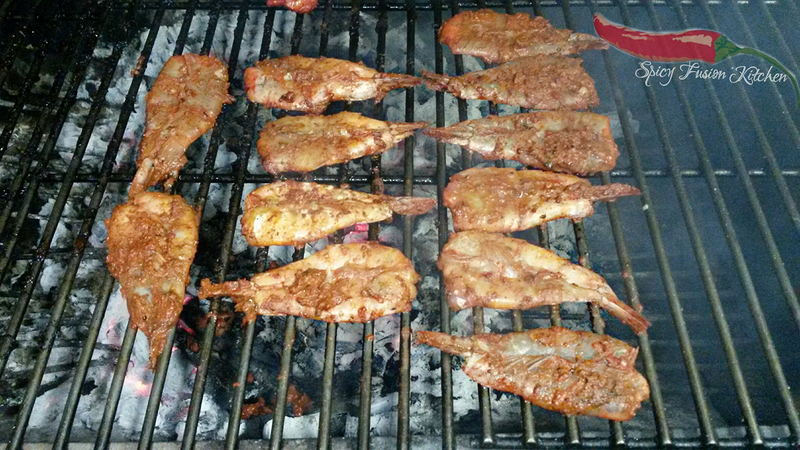 but bbq'ing or braai'ing it outside brings a whole new dimension to the flavours! it won't dry out quickly and it will be juicy, and that is what you want! it's spicy and great to incorporate if you're doing a seafood or grill platter. * In the video and pictures I shared we just tried with 12 prawns. This is just an estimation of the quantity of spices used, usually I just wing the marinade. I will say it depends on your flavour and what you prefer so you can change it up a bit to suit your palette. * When it comes to prawns we prefer queen prawns, they're easy to de-shell, they cook faster and they're easier to cook. You can butterfly your own prawns, but nowadays with ready butterflied prawns you can save yourself a whole lot of time. We use the Woolworths brand ones that come in a box and they're ready cleaned and butterflied. 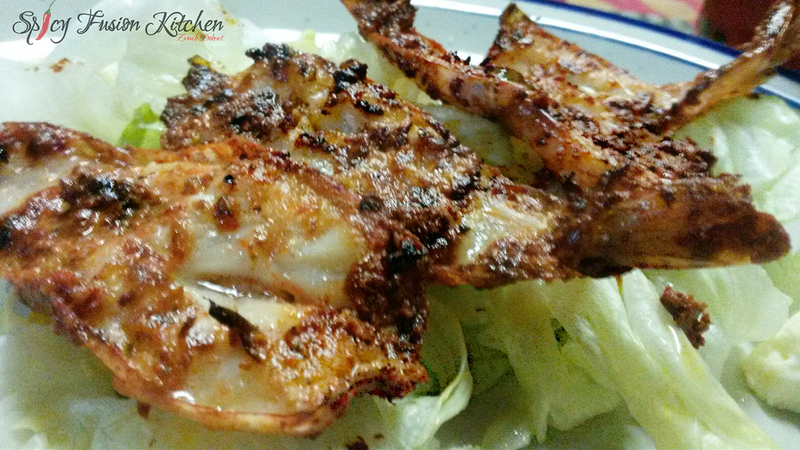 Make a marinade paste of all your spices and marinate your prawns over night. Mix your sauce ingredients and bring to a quick boil desperately, this will be for basting the prawns. When your fire is hot place your prawns shell side first, flip after a minute. Keep flipping every minute, as you flip baste the prawn in the sauce your made - this will enhance the flavour and keep them moist. Prawns cook fast on the braai/bbq stand, so keep a close eye on them. Keep it braai'ing/ bbq'ing for 10 minutes tops. Serve with a crisp cold salad and some lemon juice and bon appetit! :-P Prawns and BBQED! Yum! I have hardly dealt with seafood in my kitchen as I have a grown up who refuses to eat seafood. Back home its different and I will share this recipe to my sis so she can make for all. Your guidelines will really help even a amateur! I cna imagine the juicy prawns with the shell.. and how spicy and hot it can be.. Slurp..
Ooh, this looks delicious. I love prawns too. Wow these look delicious. I'm not the biggest fan of prawns but these look like they'd change my mind! I love prawns and sea food in general. And this looks really enticing. What a combo with crisp cold salad ~ another favourite of mine.